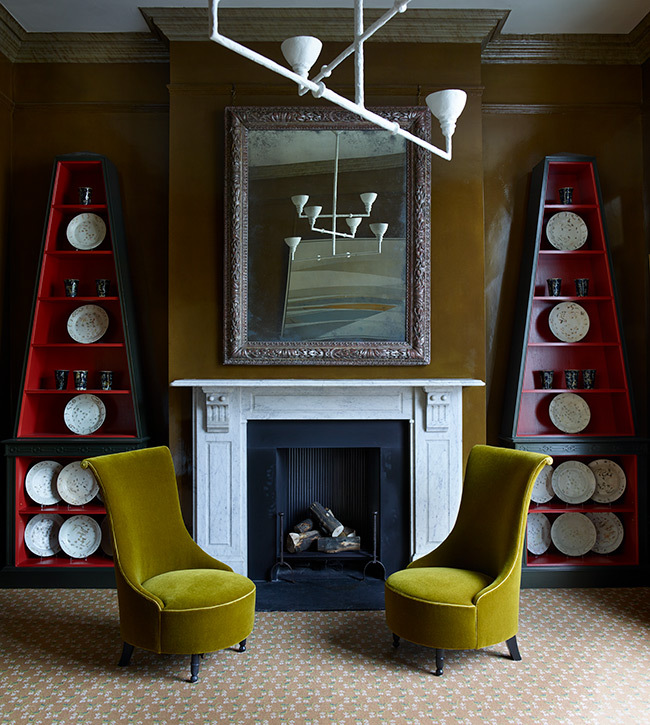 Sibyl Colefax & John Fowler was founded in the 1930s and is the longest established interior decorating firm in Great Britain, as well as one of the most respected. Its reputation for work of the highest quality remains unchallenged. The company’s current generation of designers have over 150 years of collective experience between them, and are as used to creating 21st century interiors as they are working on important historic buildings. The company’s reputation is not confined to the British Isles. There is demand for the designers’ very particular skills and experience world-wide, and even in Great Britain many of the projects carried out are for international clients. The majority of commissions are private and residential, ranging from some of Britain’s most notable stately homes to modern city apartments, ranches in the Wild West or South America, ski chalets and tropical beach houses. Boardrooms, offices, restaurants, yachts and private jets add occasional variety to the mix. The client list (always kept confidential) includes royalty and rock stars, businessmen and bohemians, with many others in between. The eight interior decorators, each with a support team, work independently of one another and have distinctive areas of expertise – and also have the great advantage of being able to exchange knowledge when necessary. Clients have a choice of which designer they feel is right for them, knowing that they all work to the same high standards. Clients find that collaborating on a project with their designer can be both enjoyable and rewarding. Crucially, they know that the project is being tailored to suit their individual requirements and that the end result will be entirely personal. Whether their tastes are traditional or cutting-edge contemporary, clients can also be confident of an attention to detail that ensures their home will be deeply comfortable as well as beautiful to look at; subtle, unobtrusive luxury is taken for granted. Sibyl Colefax & John Fowler’s new Belgravia premises place the firm squarely in the middle of London’s exciting decoration and design quarter in Pimlico Road. The famous Yellow Room back in Mayfair, designed by Nancy Lancaster and John Fowler, is part of a distinguished history of which the company is proud – but we have now moved on. The change of location brings fresh inspiration and a new lease of life. The Pimlico Road showrooms give the interior decorators the opportunity to display their talents in an entirely different context. A new era has begun.